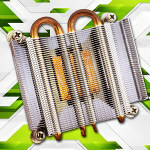 Use edge welded metal bellows to compensate for expanding fluids and to prevent leaks that could damage equipment in many fluid-power and fluid-handling applications. 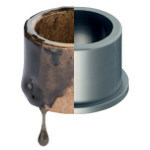 BellowsTech edge welded bellows are superior to alternative methods because they are able to maintain proper flow during normal operation and expand and contract to compensate for volumetric changes of the liquid or gas that could otherwise result in blown seals, leaks, broken sensors and premature wear and tear. Engineer's Toolbox: NASA composite shell test -- bang! MICROMO announces the new high precision IER3 optical encoders from FAULHABER. 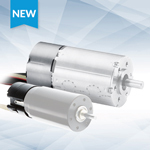 The new encoders deliver 2 channel quadrature signals plus an additional index signal, and can be combined with CXR and CR small DC motors, and BX4 and BP4 brushless DC servo motors from FAULHABER. The optical measuring principle gives the IER3 a strong edge in terms of accuracy and signal quality -- compared to encoders with other measuring principles. Dan Ewing, Senior Chemical Engineer, Parker Hannifin O-Ring Division, lays down the three global trends driving innovation in the automotive industry and why the Parker compound VG286-80 offers unmatched benefits in all three areas in respect to the ever-more-demanding requirements for fuel-injector seal materials. Get this valuable pocket-size quick-reference guide. "Manual adjustment" sounds like a very simple application, but it is often a major challenge -- especially when it comes to vertical adjustments, such as kitchen equipment, headrests, or fitness and rehabilitation equipment, where the dead weight needs to bear light attachments. 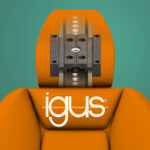 Motion plastics specialist igus has a few new options for you. Titanium is the leading material for artificial knee and hip joints because it's strong, wear-resistant, and nontoxic, but an unexpected discovery by Rice University physicists shows that the gold standard for artificial joints can be improved with the addition of some actual gold. Textron Aviation just unveiled a new business aircraft powered by a propeller engine that features many of the comforts of a private jet, but at an entry-level price. The plane, called the Cessna Denali, will have the largest cabin in its class -- seating up to eight people -- and an engine powerful and efficient enough to reach Chicago from Los Angeles or Miami from New York. GE Reports takes a look at the plane's jet-engine technology and 3D-printed engine parts. 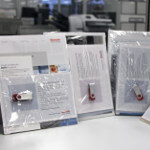 Bosch Rexroth Corporation recently achieved a major milestone distributing 5,000 Resource Kits to U.S. engineers. Launched in 2013, the Resource Kits now cover six different topics: Lean Production and Automation Insights, Linear Motion & Mechatronics @ Work, Advancing Factory Automation, Hydraulics Performance, Mobile Hydraulics Solutions and Packaging & Printing Results. Resource Kits include handbook excerpts, case studies, technical papers, videos, and online tools. Get your resource kits today. How do you learn how to build stronger, lighter rockets and spacecraft structures? You come up with a totally new design, use an innovative material, build the rocket part, and then break it. NASA successfully completed the first series of high-tech composite tests in late spring as a large cylindrical barrel was tested to failure under extreme compressive loads of almost 900,000 lb, all in the name of building lighter, stronger primary structures for future launch vehicles. 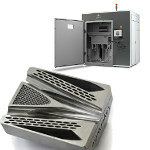 The ProX DMP 320 from 3D Systems is the latest addition to the company's line of direct metal 3D printers. It is designed for high-precision, high-throughput direct metal printing and optimized for critical applications requiring complex, chemically pure titanium, stainless steel, or nickel super-alloy parts. It features preset build parameters developed from the outcome of nearly half-a-million builds, providing predictable and repeatable print quality for virtually any geometry, and offers a large 275-mm x 275-mm x 420-mm build volume. Learn all about this incredible machine and see it in action. 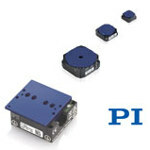 Ultrasonic piezomotors from Physik Instrumente are small and provide motion with high resolution, as well as an extremely wide dynamic range from microns/second to hundreds of millimeters/second. A significant advantage over magnetic drive technologies (such as voice coils, brushless, and 3-phase motors) is the self-locking principle: Once the motor reaches a target position, it acts like a ceramic brake and locks the platform into place, providing extreme long-term stability at zero driving current and heat generation. 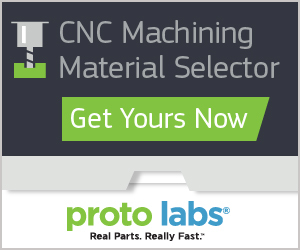 Xometry is an online platform that instantly connects engineering and design professionals to the optimal manufacturing solution at the best price across a wide range of technologies, including CNC machining, sheet metal, professional 3D printing, and casting. The Xometry add-in enables SOLIDWORKS users to seamlessly access the Xometry platform and get instant pricing and lead times as well as manufacturability feedback while working on designs. This solution makes designing and ordering a wide range of custom parts faster and easier by enabling users to go from concept to creation in one workspace. The U.S. Army is moving ahead with research on potential new component-level technologies for future rotorcraft. A team from the U.S. Army Research Laboratory completed the first-ever live-fire test of a rotor blade with individual blade-control technology in mid-January 2016. Researchers fired three shots representative of typical ground fire on a 7-ft-span rotor blade section to explore the ballistic vulnerability of emerging individual blade-control technologies. In the early 1980s, a product design methodology called Design for Assembly (DFA) began to gain popularity. In the past 10 years, there has been a significant resurgence in a different design philosophy -- a very old and outdated one -- that is skewing the productivity gains companies achieved through DFA. Using real-world examples, Boothroyd Dewhurst's Brian Rapoza describes how to -- and how not to -- cut costs during part redesigns. The signs aren't always overt. People aren't biting each other's heads off or glaring sullenly across the conference table. Instead, it feels like everyone is just ... coasting. They're not cage-rattlers and idea-sharers; they're "yes men" and passive compliers. That's "bad mood" in workplace parlance. And Michael Houlihan says that apathetic clock-punchers are the creations of a culture that's set up to squelch their inner entrepreneur. Whippany Actuations Systems makes electro-mechanical actuation systems for the aerospace and defense industries. The company needed to increase production quickly, preferred to manufacture in-house, and looked for an alternative solution to sinking a large expenditure into a new CNC machine. Watch how a UR robot solved the challenge. Locate a UR distributor today. View the full range of UR robots. Polish university student Pawel Zadrozniak, who admits he has extra time on his hands, makes impressive music from the mundane sounds of things like stepper motors running magnetic heads on floppy drives or flatbed scanners moving back and forth. Learn about his unique approach to creating his own full-blown orchestra (called the "Floppotron"), and enjoy music from "Star Wars," "Hawaii Five-O," Nirvana, and "Game of Thrones" along the way. Learn more and watch some fun music being made.